Orchard Meadow is situated in the middle of Tolpuddle to the south side of the main road on land described in the 1842 Tithe Map as an orchard. After the construction of the bypass in 1998 various proposals for new housing came forward in Tolpuddle, which included building on this land. Following concern from residents and with the long-standing desire for a public open green space in the village, a 106 agreement was made between the local authorities and the developer of Streamside and Long Cowleaze, designating the land as a public park. 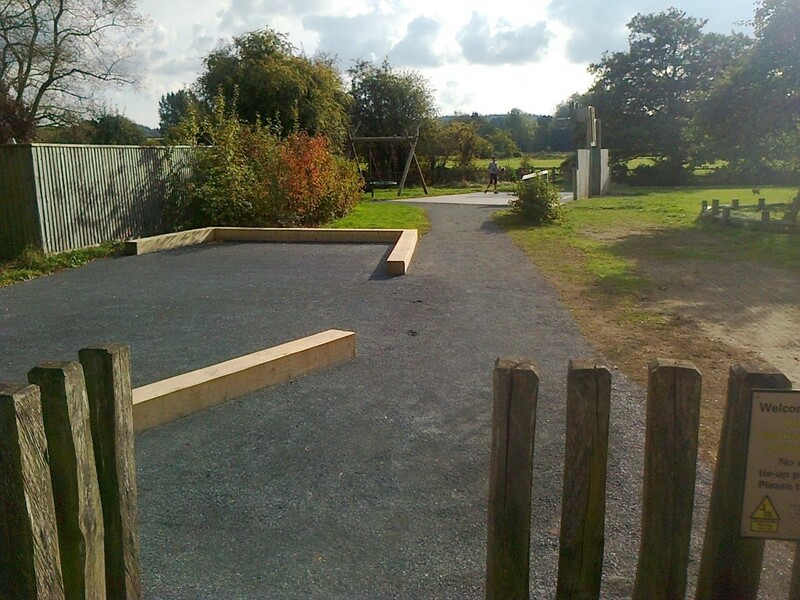 In 2007 the Tolpuddle Open Space Community Association (TOSCA) was formed by a number of residents to work with the Parish Council to get the new park built and opened. With the 999 year lease obtained, the work to secure funding commenced. In total over £100,000 was raised. TOSCA ceased operating soon after September 2009 and the opening of Orchard Meadow. Orchard Meadow is managed by Puddletown Group Area Parish Council with support from local residents. The grass cutting and some small items of maintenance are carried out by a local contractor with regular weekend volunteer work parties attended by local residents of all ages. During 2018 and 2019 a programme of play equipment repair and replacement is being put in place specifically to replace the kickwall/basketball hoop and upgrade the toddler play area. Current play equipment includes a play tower with slide, climbing net, pole and rope bridge, roundabout, large nest swing, kick wall and grassed play area, toddler slide and climbing net. The site also has a petanque area with boules available to borrow from the adjacent Martyrs Inn. Orchard Meadow provides varied opportunities for picnicking with picnic benches and seating available, please take your litter home and no BBQs or dogs are permitted. The park does have an area of shallow water and an adjacent stream, please supervise young children on site.